Superstar Salman Khan and Kareena Kapoor starrer ‘Bajrangi Bhaijaan‘ is all set to hit theaters this Eid. The movie is eagerly awaited by Salman Khan fans. To encash on the festive occasion the makers had recently shot for a promotional song. 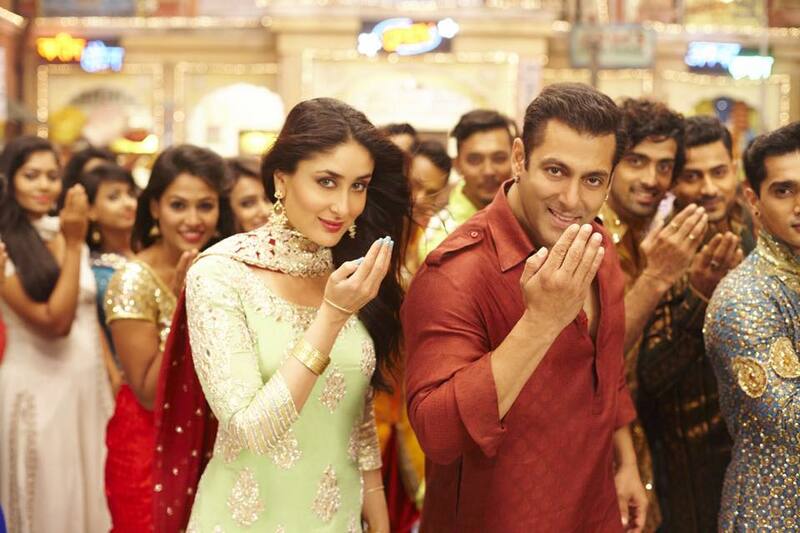 The festive number titled ‘Aaj Ki Party Meri Taraf Se’ has Salman Khan and Kareena Kapoor grooving to it. Here we have an exclusive first look of the number with the two stars grooving to it. Salman Khan is looking handsome in a dark red Pathani with Kareena Kapoor looking smashing in a mint green salwar kameez with matching accessories. The song is just for promotion it will not be seen in the movie, The song has been composed by Pritam and is written by Shabbir Ahmed. The peppy number has been choreographed by Remo D’souza. The song will soon be launched by the makers of ‘Bajrangi Bhaijaan’ till then check out the first look of the song ‘Aaj Ki Party’.